simple – Do You Suppose She's A Wildflower? You can’t keep kids safe enough anymore! I found a really cute, easy, and useful idea for kids that will be traveling through an airport or place where they have potential to wander off. I may have my child one day wear one around her ankle at ALL times!! I’m sure you can get beads and string at your local craft store. Just put your phone number (with area code) on the bracelet in case of emergency. It will help children remember their number or stand out to those who may find your child and are unsure how to find the parents. 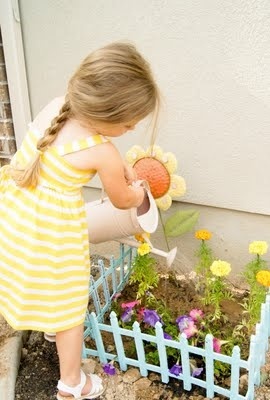 Best of all, it can be made into a little boy or little girl theme! The kids could pick out the charms on it depending on what they like. 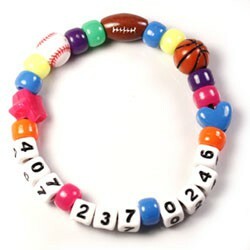 Also, you could put your child’s allergy, blood type, etc on this type of bracelet. The possibilities are endless. It was not connected to someones blog. Wanted to share what I am going to be making next week! You have to love the crock pot! 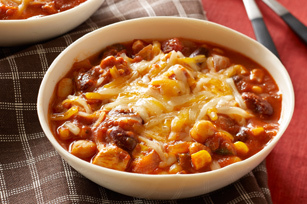 Slow Cooker Chunky Chicken Chili EVERY Kraft recipe I have made has been really amazing. You can also tweak ingredients to make more healthy when needed. I love the crockpot and how fast it is to make a meal. Fingers crossed this recipe will turn out like the other ones I have tried! Of course! How have I never thought of this! Add food coloring to chocolate chip cookie mix and voila..pink cookies! For Christmas you could even do red and green cookies! I dunno about you but I think slow cooked cinnamon almonds sound AMAZING! Cannot wait to try! I did a blog about these pretzel treats and how to make them a few days ago! I also have them in my APPROVED RECIPES section at the top of my page so please check that out. Here is my Chicken Salad. This is so good I can literally eat it right out of the bowl. Ok and because I was feeling extremely adventerous…that and my husband and I need dinner tonight lol I made some stuffed peppers! Again, all recipes can be found in my APPROVED RECIPE section. After I try the stuffed peppers I will add them in there. I have to try and like the food before I add them 🙂 However, I have no doubts these will be fantastic. I love how colorful and Christmasy they look!